There are antiabortion activists who stand outside abortion clinics with the genuine belief that their presence helps women, that they are prayerful warriors against abortion, and that their help will solve all of life’s little unwanted pregnancies. 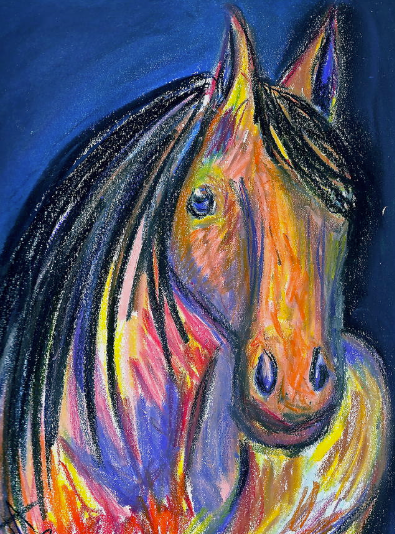 But their beliefs and women’s realities are, as the saying goes, a horse of a different color. 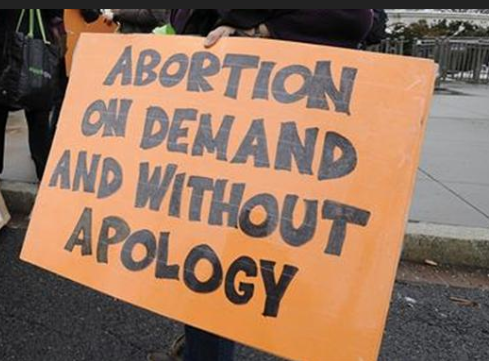 After watching and listening to antiaborts for nearly a decade, I realize that most claim women choose abortion solely for financial reasons, so they offer free housing, free medical care, free baby showers and financial support. Some even make bogus claims that 1) clinics only want women’s money and that 2) clinics don’t want to help women. Of course, the obvious response to this illogical claim is that they, instead, want to help, want to tell women that God loves them and want to show women that all that is wrong in their lives (and in this world) can be solved with their financial support and with carrying the pregnancy to term. But, let’s set aside abortion and finances momentarily to look at what the government’s latest statistics reveal about annual child-rearing expenses. For the average middle-income, two-parent family the expenses range from $11,650 to $13,530, depending on the age of the child. Imagine, a single parent of one child, pregnant with a second child, who is considering her options for raising a second child on a salary of $18,700. The annual expenses for the first child, according to the government’s calculator, are $7,410; the second is $7,188. So, where does that leave the mother? What are her options for education, being promoted beyond her entry-level position, helping her children become first generation college students? The antiaborts’ claim that their money and help, tied with strings of obligations and guilt, will solve a woman’s unintended pregnancy. But such “help” fails to acknowledge women’s intellectual and moral capabilities for decision making, fails to respect her bodily and emotional autonomy and fails to value her own value and belief systems. The antiaborts’ failures illustrate how little they care about the details of women’s lives. Women choose abortion for many reasons–reasons that are not directly or soley related to finances. For example, the Guttmacher Institute finds 74% of women chose abortion because having a child would interfere with their education, work or ability to care for dependents. So, let’s look at a few details about why women choose abortion. Educational goals, like continuing with coursework your senior year in high school or completing your master’s degree unencumbered by pregnancy and motherhood, are legitimately and morally sound reasons to terminate an unwanted or ill-timed pregnancy. The sad fact that women earn less than men for doing the same work translates to an even stronger rationale for women to attain higher levels of education. Pregnancy interferes with attainment of these goals. Motherhood surely messes things up big time. As for work or career related reasons for abortion, the realities are evident in all walks of life. Working as a volleyball coach in a private college, an Air Force sergeant responsible for delivering meals to the airmen in Iraq, a hair colorist in a competitive salon in Manhattan or a change management consultant in a prestigious consulting firm all require devotion to the career and not to a fetus. It’s harsh but it’s reality. A fetus gets in the way. And don’t think for a moment that the simpleton who offers to help you keep your baby will be there to help you with nighttime feedings, with a presentation to a new client, with an out-of-town business trip or with a parent-teacher conference. Not gonna happen. And for women with children, only they know whether they can commit to another child in the family. Paying for maternity care and delivery does not account for the physical and psychological costs to a woman and to her family. As I’ve written elsewhere, pregnancy carries a lot of risks that are silenced by all the mythology around the rapturous joys of motherhood including those illustrious Hallmark moments of Mother’s Day and Baby’s First Birthday (smash cake and all). In fact, the United States’ dismal maternal mortality and morbidity statistics rank 50th in the world. Women deserve to know the inherent dangers of carrying a pregnancy to term without the lure of money and misinformation from some oddball who hangs out on a sidewalk outside an abortion clinic. Women who are unfortunate enough to venture into a crisis pregnancy center deserve the truth about the risks of pregnancy, for certain, but they also deserve to know that the CPC will not be there for the woman and her baby after the first year of birth. A few examples about pregnancy and parenthood that antiaborts ignore, drawn from real life stories, seems in order here. In Louisiana, over 30 years ago, a young pregnant African American teen, fully insured, presented at an Air Force hospital with eclampsia that killed her fetus and nearly killed her. While eclampsia is rare because of prenatal monitoring and medical care, it still occurs especially in poor, underserved populations and particularly in young pregnant teens. All the money and support an antiabort might be willing to offer cannot work against the fact that pregnancy is not without its risks. In another real life example, a family with a child with Asperberger Syndrome had to sell their home in one school district to move to another district because there was no support in their former school district for their child. No freebies from a well-intended baby shower would suffice for a family with such a complicated life. Where will these “love the mom, love the baby” antiaborts be when the fetus they claim they “saved” needs braces, a counselor for an eating disorder or bail money for their fourth underage DUI? Where will they be when the woman must run for her life, with her children, when the man in her life threatens her life? Don’t expect antiaborts to help folks with stuff like this. The details are too deep; their offers of help too shallow. As I said, the antiaborts’ beliefs and women’s realities are often worlds apart. At a surface level, tossing money to women to is easy. Respecting women in all their decisons, ranging from choosing to remain childless to all aspects of pregnancy and motherhood, takes hard work, relentless dedication and compassion. Unlike the pamphlet-pushing, cheap-talking, god-deluded antiaborts who spew superficial sound-bytes, compassionate folks know that decisions about unplanned pregnancies are based on many details. We must respect each and every woman and her decision about her pregnancy because the details of her life matter. Beautifully written, thank you for your relentless war on the bullies who disrespect not only women, but also everyone who supports them. And the examples culled from your years of observing antiaborts are spot on. Good piece, Kate, as always. Doesn’t it frustrate you, though, that there are some/many women who actually fall for this crap and actually believe that the antis will be there to help her? How much can we protect people from themselves? Stop calling them “anti-aborts.” This accepts their framing of the argument that abortion is an evil to which they are opposed. You cede more than half the battleground from the very start with that term. Call them “so-called ‘pro-lifers,’ and the general public will start to think, “Why are they called ‘so-called’?” It’s time to shift the battleground. So, OK, what about anit choicers? you don’t like the term “anti-abort”, chuckles? i was thinking it was kinda interesting. “Anti-choice” is not good enough; it allows the so-called “pro-lifers” to depict “pro-choicers” as people who are selfish, calculating, unscrupulous, etc. The term gives them the power to re-focus the debate on the character of their opposition. The term, “so-called ‘pro-lifers’ ” forces them to defend themselves. The focus is on the question of what it means to be a true “pro-lifer,” and they have to face not the issue of abortion but of the charge of being “so-called.” The threat of having their character impugned is too great for them to ignore; they cannot attack “pro-choicers” or “pro-aborts” when the very substance of their behavior is at risk. Furthermore, it gives the public a new slant on the whole debate. How about faux pro life? It smacks of elitism, which gives them both a point of attack on the user and the option to ignore it. A large number of the general public would relate to the use of “faux,” but not enough of them. I see your points about elitism and about how issues are framed. However, I would counter your argument by asking why use their terminology at all? Why use the ‘pro life’ phrase at all? Isn’t it giving credence to their brand? Why not boycott their brand like any other brand that’s evil, bad for the environment, bad for public health, detrimental to working class folks? While I may be taking this too far, and giving credit to most of the ideas below to Milan Zafirovski (2004), I believe if we really want to be game changers, we need some straight talk about the immorality of the neo-conservatives in the GOP. We need to start denying their democratic legitimacy by recognizing the contradictory combination of moral tyranny and economic license for what is essentially despotism. It’s through their malignant power and the corresponding deformations in political democracy that our individual liberties, private choices and human rights are stripped down. This type of conservatism has been called American friendly fascism and looks very much like European fascism that chooses to exterminate the enemy and fabricate the model citizen (think the Nazis, here). So this tyranny of Puritanism oppresses citizens with mass surveillance, intrusive legislation into private matters and mass incarceration. The implications for these morality police are that they are hypocrites because they advocate freedom (gun laws, free speech, free markets, from governmental regulations, religious practices) for themselves but deny it to others. You can see this in action when some of the GOP theocrats, hell bent on sacrificing women’s liberties (reproductive rights, for example) and choices at the altar of ethical purity (think CPCs, TRAP laws that are framed as protecting women’s health but only create more obstacles to abortion access, think the failed abstinence only programs), demonstrate their own failures (as sinners when they force wives/girlfriends to have abortions, when they take claim abortion is not healthcare and deny it to all Medicaid women but take their daughters for abortions and expect privacy in such health care matters). You’re right on all points, Kate, but we have to fight one battle at a time. There are so many threads that feed into the tapestry that to focus on the weavers makes for great strategy, but there are too many people in each battle who will ask, “What’s that got to do with our fight?” They have reasons for not wanting to change their focus. I always hope that someone will organize the grand strategy– in the summer of 2011, I thought the Continental Congress 2.0 might be the vehicle, but I was wrong. So, I just do what I can in the trenches I find myself in, and calling them “so-called ‘pro-lifers’ ” is a tactic I advocate. “so-called pro-lifers” is also a correct term, but i will never like that term as much as i like “aborticentric”. Hey, rogelio! Feliz Ano Nuevo a Vd. y toda la familia! Good to hear from you, as always, and I hope all’s well for all of you. I like “aborticentric” too, because it is reminiscent of “eccentric” and it also is a good counter to the term “pro-aborts.” Thanks for the thought. i totes agree for several reasons. these so-called pro-life legislators don't miss a chance to cut the funding for services that poor families depend on to raise their children. they also don't hesitate to vote to cut funding for my seniors and my disabled people. that isn't "pro-life", that's anti-life. that being said, some of the greatest examples of respect for human life that i have ever seen were performed by people who are pro-choice. i tend to use the term "pro-life" to describe acts and don't apply the term to people, not even myself. i use the terms "anti" and "choicer". i find it interesting that some people think the term "anti" is derogatory. i simply think it is correct. At that point, the so-called “pro-life” movement will have lost its most important PR tool, and after that, minimizing their evil will become much, much easier. What a crock. This is the biggest bunch of bs of read in quite awhile. If you arent prepared for the financial and emotional obligation of getting pregnant then keep your legs closed or use protection. You deciding to kill an innocent baby just because you arent ready for it doesnt make it the right decision. I dont have the time to have a long discussion on hear but I pray that all of you who agree with the article that I wasted my time reading today realize that the only reason that they are hear is because someone out there decided that life was better than death for them. Speaking of a bunch of crock (whatever that is! ), many women don’t have any choice over the matter when they are unexpectedly pregnant. And to put things in balance, I’d add to your misogynistic comment about keeping one’s legs closed, that it would be equally wise for the dork to keep his junk in his pants. yeah? imagine how the rest of us feel reading YOUR post! cantbelieve, why do you limit your focus to an imagined “innocent baby,” when there are so many real children who need to be protected and nurtured? How do you feel about the fact that every fourteen seconds there is born a child who will never grow up with his biological father in the household, that every 56 seconds a baby will be born to suffer sexual abuse, half the time starting at age 2? I could go on and on, but I’ll let you contemplate the very telling fact that you don’t think about what happens after a child is born. cantbelieve drops into the Zone of Silence, for good reason…. i have been meaning to get to this blog and comment on this. please forgive me for the dleay. kate, my friend, i have seen some amazing articles from you, but this one tops them all! everything you say about the anti-choice movement could have been said by me. the only difference is that i have a thick “anti accent” and you have a thick “on demand without apology accent”. but the meaning is the same. when i used to pray in front of clinics, my intent was indeed to help the women and couples. and that takes a great deal of commitment, not just tossing them a pack of diapers and marveling that they are white like jesus. i know of some other antis who have the same course of action as i do. unfortunately, they don’t tend to be as vocal as i can be, out of fear of backlash from forced birthers who are so sorely lacking in compassion. whenever i had a charge with me, i never went there to pray. it simply didn’t make sense. my resources had then become limited and it would be taking away from the women and children i was already trying to help. but i never realized what choicers meant when they would tell me that there is no polite way to be a jerk. that actually kinda gave me a chip on my shoulder. some of the choicers would try and tell me, but couldn’t find the words. some of them saw that my intent was good and didn’t want to impede that. but the day came when a friend, a good friend, who deals with terrorists regularly at the louisville clinic asked me about those who neither wanted or needed help. my reply was that i simply wanted for them to be at peace. but when she pointed out that my presence could be an impediment to her peace, i was devastated. my presence there, regardless of my behavior, was immoral. i knew in my heart of hearts that i couldn’t be present there again. but there is still a way that i can make a difference and never hurt someone else in the process. antis are far better off supporting battered women’s shelters and various programs that will help women, whether they are facing an unwanted pregnancy or not. the question is, do we really want to make a difference or do we just want to follow an agenda. thank you SO much for this entry!